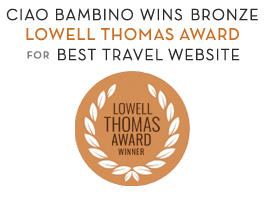 One of the things I cherish about running a mom-owned travel website is the abundant opportunity to meet women who love travel as much as I do and really get why I spend so much time developing Ciao Bambino (my second child). 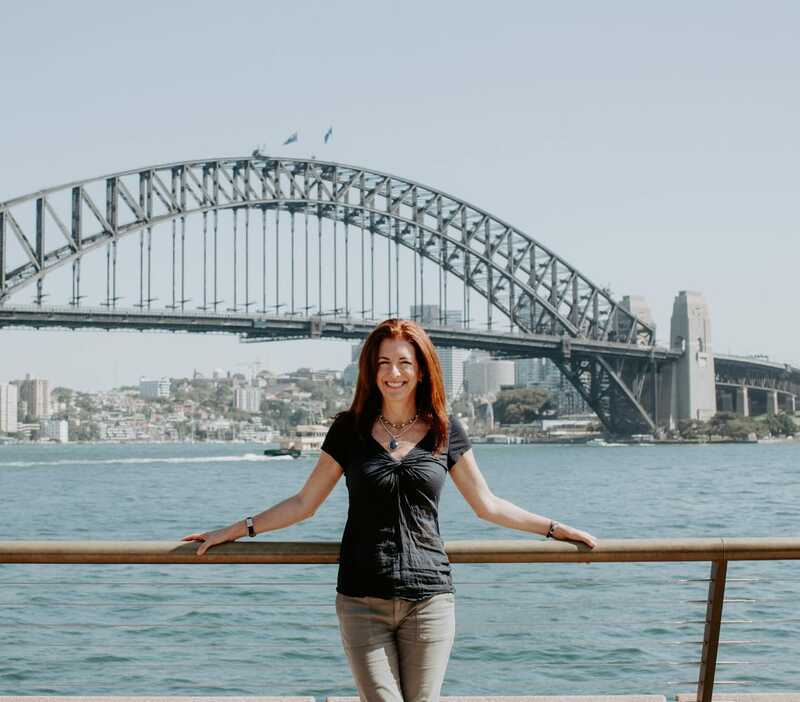 Erica Dublin is the CEO of See Jane Fly, a go-to travel resource for women. Since women DO have travel experiences that are not all about kids, Erica’s editorial team cover topics like wedding and business travel too. Their goal? To be a hip and trusted concierge for Janes everywhere. We are part of See Jane Fly’s hand-picked Family Fun blogger network and I’ve really enjoyed getting to know their team. Time for you to meet Erica too. What inspired you to start See Jane Fly? As a communications executive with companies including Lucasfilm, Yahoo!, and Time Warner, I spent years crisscrossing the country, sharing travel-planning woes and “what went wrong“ stories with fellow female co-workers and friends along the way. I soon realized that the travel industry’s ‘more is better’ and ‘one-size-fits-all’ approach wasn’t cutting it for today’s busy women, and my travel travails were shared by an infinite number of female travelers. After returning home from another very long trip looking like someone beat me down with my suitcase, I decided it was time to create a solution for my fellow Janes. Over the course of a year, I found an amazing team and together we put our hard-earned travel know-how and work experience to good use to launch See Jane Fly back in May of 2009. Since then the site has gone through a major re-launch and continues to try and make improvements based on user feedback and SJF team real-life insights, mine being that I am now traveling with a six-month old (business and pleasure), which is giving the site a very family-forward approach. You just completed a major re-launch of the website. What changed and why? The design was the biggest change. We were really looking for a clean look that was easy to navigate and made you want to stick around awhile, while at the same time giving users the ability to get the information they were looking for in less than a minute. We also wanted to make sure we had the ability to change and update content on the fly. In addition to the design overhaul, we added the toolbox and blogs, which are category specific and filled with in-depth reviews, itineraries, free downloads, and more. Last, but not least, we’ll be launching SJF Trips in the next two weeks, which will be trip type and destination specific travel guides and handbooks. What is the value you are providing for your readers? Time, which is what I think we all want more of at the end of day. Today’s time-constrained mom is frustrated with standardized guidebooks, unused travel articles, and aggregated websites that provide excessive and irrelevant information, so we try to set ourselves apart from both online and print travel resources by offering customizable guides filled with expert recommendations that are original (never aggregated) that can be created and printed in less than five minutes. In these guides, travelers are also armed with handy, at-your-fingertips information on essential resources including nearby tech support, malls/shopping, drugstores, transport, as well as weather guides and city-specific style tips. With listings changing based upon trip type, the Tots in Tow guide might include babysitting services, while the Girlfriends Getaway guide may feature “plenty of men” cocktail hotspots and top mani-pedi parlors. While I am a huge fan of global travel, and lucky enough to have traveled far and wide with my family and on business, I think my favorite travel experience to date was our yearly family excursion to Ensenada Mexico when I was growing up. My Aunt had this amazing 70s style, one-bedroom beach house that was located right on the sand in a darling little community called Corona Beach. We used to pile in at least three to four families in for a week at a time, with us little ones sleeping in tents on the roof or snuggled up next to one another in the loft. The week was filled with clam hunts, frogger at the local pool hall, bike races, and surf fishing with my mom and Aunt Jean, not to mention at least one night of fireworks and daily sandcastle builds with my dad. Just writing this puts a smile on my face and the smell of ocean air lingering on the tip of my nose – that’s how you know you’ve found your favorite travel memory. The house has since been sold, but I hope to one day rent it and bring my own family down to experience the magic of Ensenada. I know your son is young now, but what are some of the experiences you are dreaming about having with him? I want Grant to experience the world. And not just an amazing gelato in Italy, even though that can change an afternoon from good to bad <smile>. I hope our family has the ability to travel to a new place each year and immerse ourselves in the culture for the summer. I have also dreamt of going on some big charitable travel trips myself, whether we tag sea turtles or rehabilitate lions, and I would love Grant to experience something like that with just me. We’ll leave Dad at home to take care of our own domestic wildlife – aka the cats. You provide Travel Tips on SJF. Is there a fun new gadget and/or trick you have to share (with or without kids)? Get yourself a pair of TravelSox, they combat swelling and discomfort in your feet and legs. Go for the SoftPrim version that have extra padded soles. I’ve got the team so hooked on them that some of us even wear them around the office when we’re having a “puffy day.” I also wore them during the entire second half of my pregnancy. They are amazing. Bring an empty Klean Kanteen, or any other water container, with you through airport security, and then fill up on the other side. Eco-friendly and pocket-friendly travel at its best!